The adding of ‘y’ to the end of words is an endearing quirk of the Australian vernacular. Any name to which it’s applied immediately seems to become a little more informal, grounded and familiar; it must be nice walking into a room with a name like Barnesy, Warney or Hughesy – like you’re wearing a blanket of general acceptance. For foreigners though, it can take a while to catch onto the local dialect. So, as part of their steps towards further integration, the American brewers at the helm of Modus Operandi have taken something that belongs intrinsically to their homeland and given it the colloquial treatment. The Simcoe hop is grown in the Yakima Valley region of the American northwest and has become one of the go-to hops for American style IPAs. In the Modus Operandi brewery, Simcoe is now affectionately known as 'Simmy'. While the brewers are still getting to grips with local slang, they’re dead set corkers when it comes to knowing how to use hops, especially American ones. Perhaps thanks to the shadow cast by their twin IPAs, MO’s pale ales tend to fly beneath the radar a bit, but if you want a hoppy, American style pale you can’t go wrong with theirs. Simmy Minion, as the beer was called when it was first released, continued that vein of form by being a beer the brewery said was “designed to serve our hop head fans” (thus explaining the ‘minion’ part of the name too) as it’s built on big aromatics of pine and citrus with a crisp, clean finish. Having impressed its brewers and impressed its drinkers upon its short release, Simmy Minion went on to impress the judges by taking out the award for Champion Australian Pale Ale at the Craft Beer Awards in 2015 and helped Modus to the title of Champion Medium Brewery. 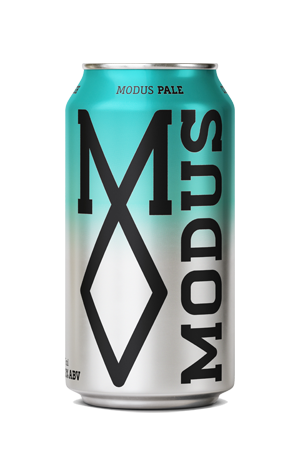 That form saw it added to the brewery's permanent line-up just a few months later and renamed, simply, Modus Pale. In 2016 the beer was the first to roll off the brewery's new canning line and it continued rolling right into the 2016 Australian International Beer Awards ceremony where it took the trophy for Best International Style Pale Ale.